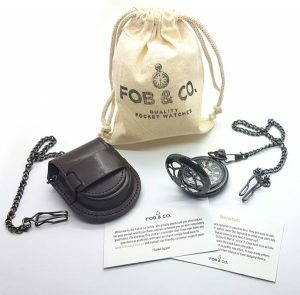 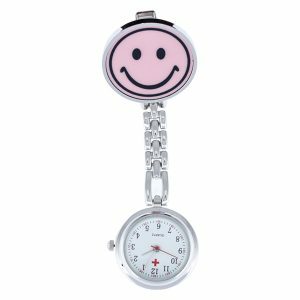 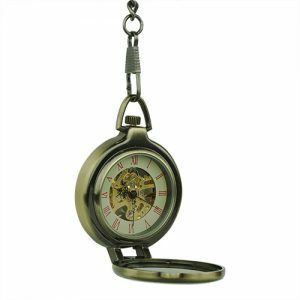 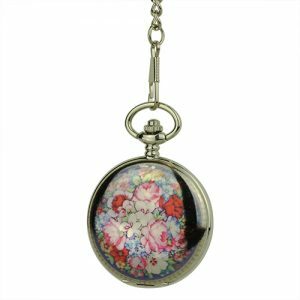 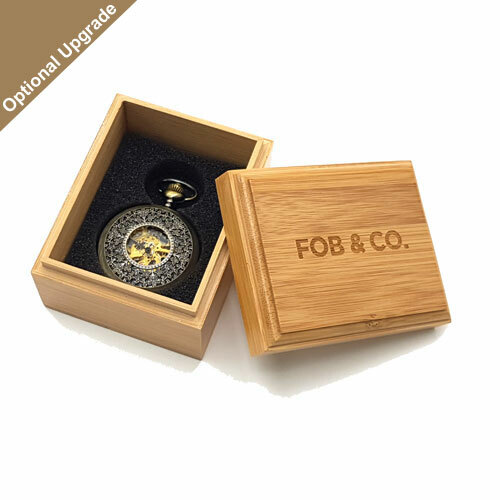 Side Dragon Silver Tone Hunter Fob Watch - Fob & Co. 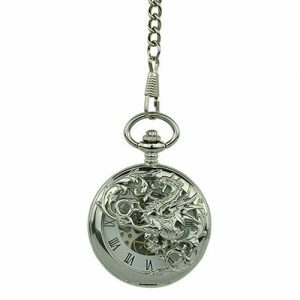 Enjoy the handsome look of a silver dragon on this stunning pocket watch but none of that fire-breathing stuff! 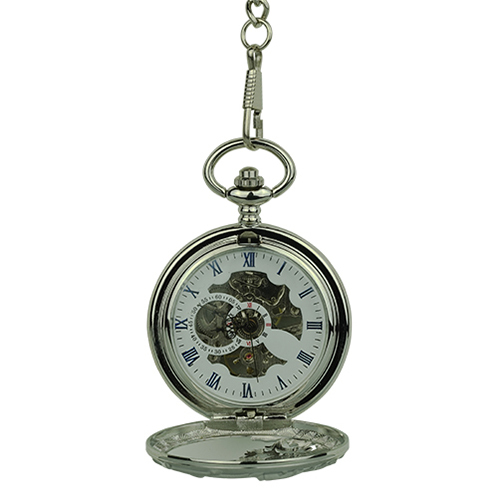 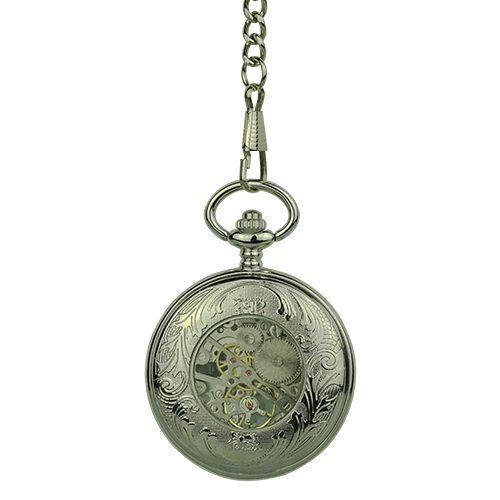 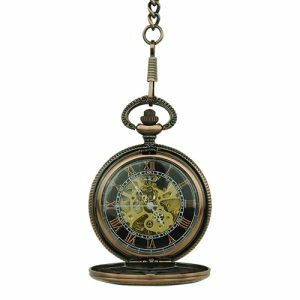 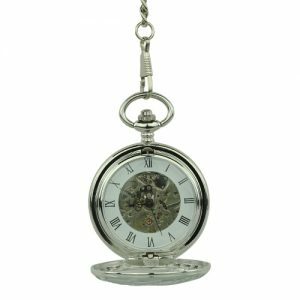 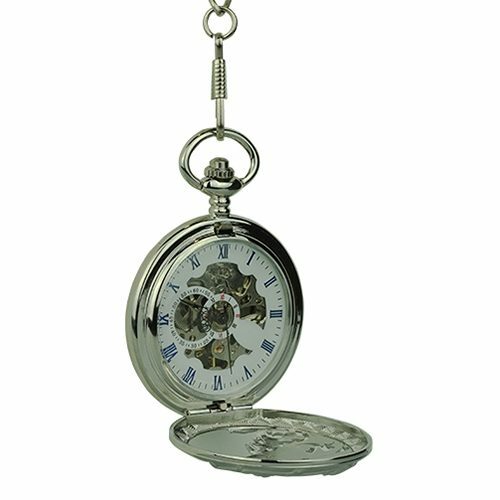 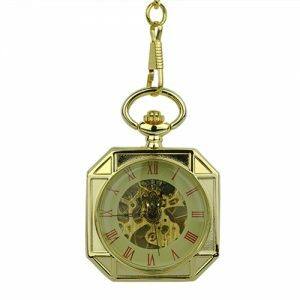 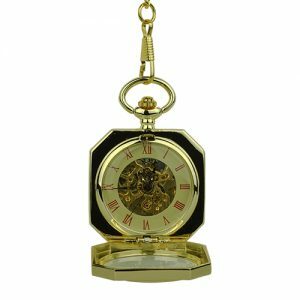 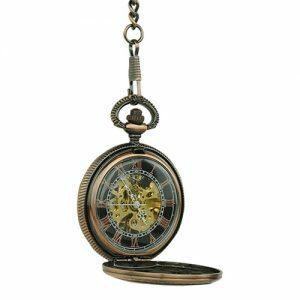 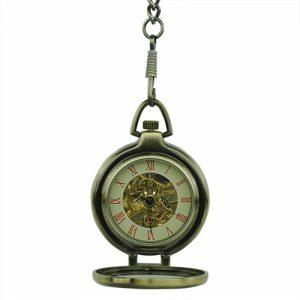 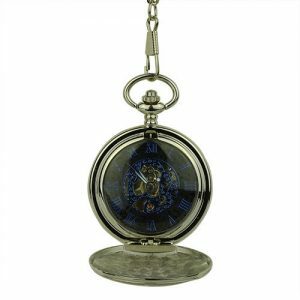 This good-looking pocket watch has an interior decorated blue Roman numerals and subdials in a gear-patterned white background topped by a silver skeleton. 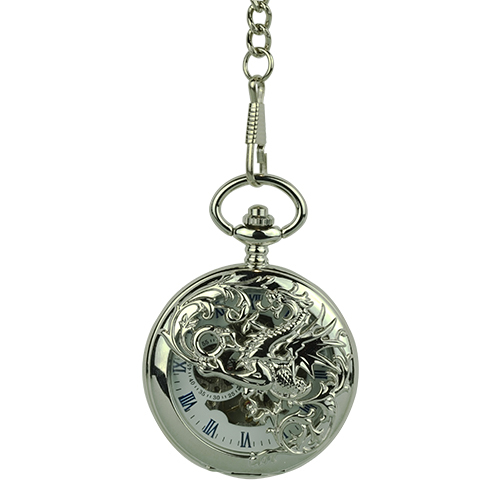 Turn over this handsome dragon themed timepiece to see a gorgeous floral pattern and a window that offers another view of the inner gears and mechanisms.